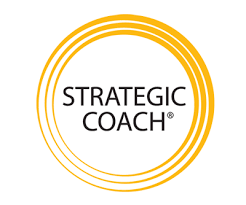 The Strategic Coach is a unique workshop-based program based in the US and Canada that has worked with over 16,000 entrepreneurs from more than 60 industries over the past 25 years. Dan Sullivan, the co-founder and president of Coach has developed numerous tools and frameworks that enable successful business owners to take their business, and their personal lives, to new heights of productivity and meaning. Strategic Coach has been partnering with Bigger Future since 2010 to provide much of the core strategic planning content for the Rwanda program. Bigger Future is a partner with Carey Business School's Global MBA Program and its Innovation for Humanity business course. Each January, a group of 22 MBA students come to Rwanda for an intensive three-week experience. Bigger Future recommends several of its member companies as local sponsors, and teams of MBA students spend three weeks working inside these companies. The goal is to produce a unique research or strategic planning project for that company. In the five years since we began partnering with Johns Hopkins University, many Rwandan companies have benefited from the expertise and growth planning from this experience. Kountable is an innovative source of short-term trade financing for qualified entrepreneurs in Rwanda. Kountable has developed the technology to "count" an important and valuable form of capital that no one has been able to measure: the “social capital” in the entrepreneur's valuable network of business relationships and contacts. This score, called your kScore, is used in the qualifying process for funding for short-term project financing at very favorable rates.